Happy Clapper and Kementari gave her a race, but Winx was still too strong for her rivals in the 2018 George Ryder Stakes at Rosehill Gardens this afternoon. Jockey Hugh Bowman was happy to settle Winx in the second-half of the field – with Clearly Innocent the only horse behind her – but Bowman didn’t want to give Happy Clapper too much of a start and he let the great mare slide into the race coming around the bend. Happy Clapper was in for the fight and Kementari didn’t go away, but Winx never really looked like getting beaten and it was another fairly easy watch for the connections of the equine superstar. 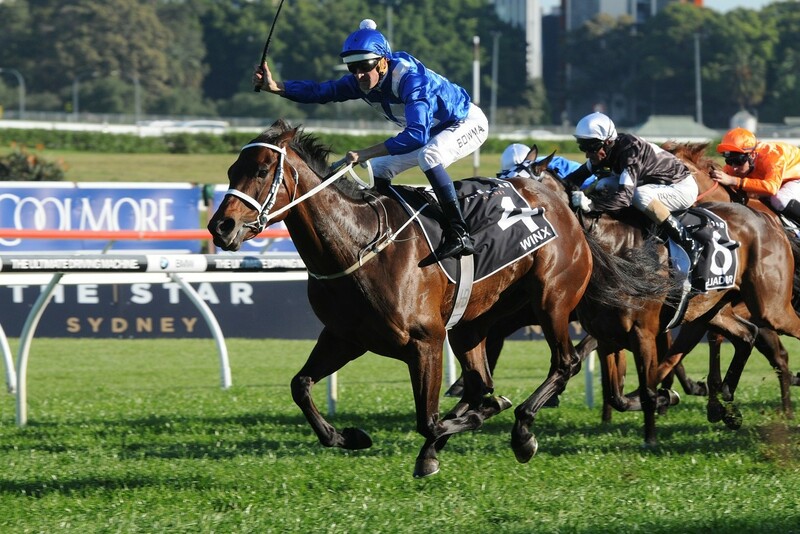 Trainer Chris Waller was able to maintain his composure after the race and he revealed that Winx would have her next race start in the Group 1 Queen Elizabeth Stakes (2000m) in three weeks, but he said that a decision about a potential trip to Royal Ascot is yet to be made. “Today was just another great win,” Waller said. “I was worried two weeks ago when I saw Happy Clapper win first-up the way that he did and I thought that Kementari would be prominent. “That is what you can expect in this type of race and we need it to take us to the next level as well. “It was good to see her get put under a bit of pressure and pull away in the final stages. “You will see her in three weeks’ time in the Queen Elizabeth – that has never been a secret. “We have a big decision to make about Royal Ascot or going to Europe, but the owners and I haven’t even discussed it. Bowman revealed after the race that he was more worried about Happy Clapper than Kementari in the George Ryder Stakes and he said that he didn’t want to give the Canterbury Stakes winner too much of a start in the best part of the track. “It was a slowly-run first quarter of the race and Zac really controlled in in front,” Bowman said. “I never actually took cover behind Kementari and I think that the ground is actually better out three wide. “That is the luxury of a horse that has plenty of ability on her opponents, but she had to work today and a lot of credit has to go to Happy Clapper. “From the 800, it was a really high-class speed and it took a champion to win. “Happy Clapper was coming out to better ground and I started to build because I had more respect for Happy Clapper than Kementari as an opponent. Both Happy Clapper and Kementari will progress to the 2018 George Ryder Stakes in a fortnight.